Custom molded solid fine dark chocolate candy 12 piece breakaway rectangle bar with almonds, foil wrapped with imprinted label applied to foil. 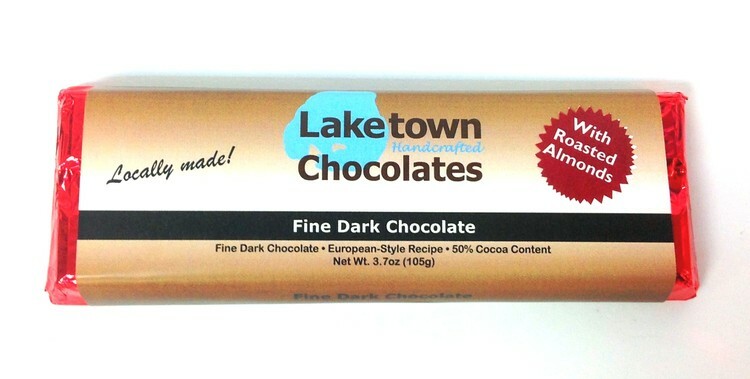 Price quotes for a foil wrapped bar with a custom printed sleeve are available upon request. European style recipe using 50% cocoa. Makes a great food gift or promotional giveaway.